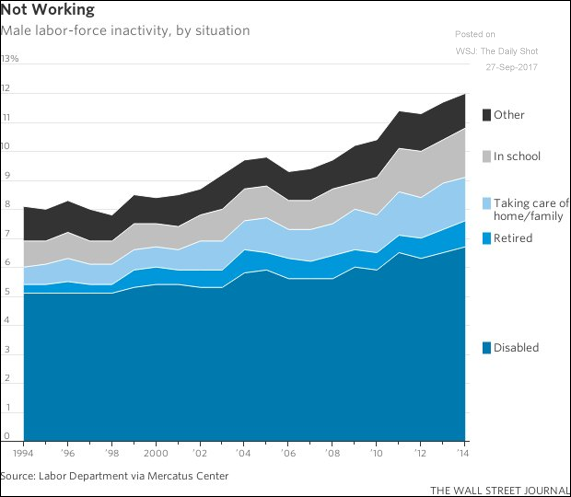 The United States: This chart is a bit dated, but it breaks down the reasons why some prime-age men are not working. 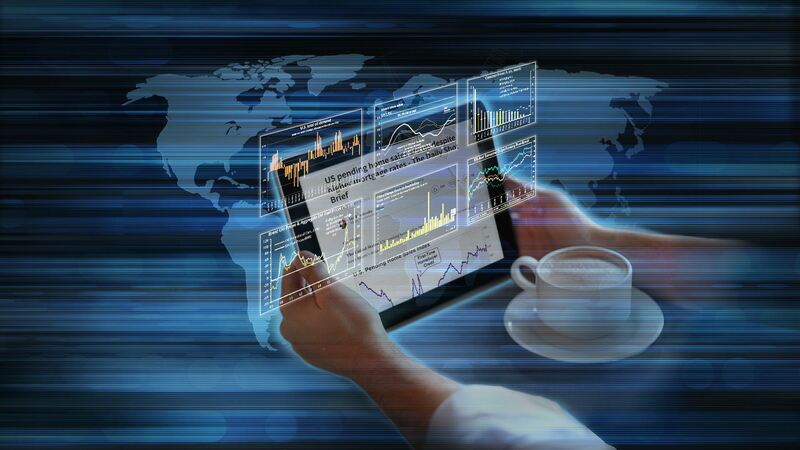 As discussed previously (#3 here), male participation rates are not improving much. 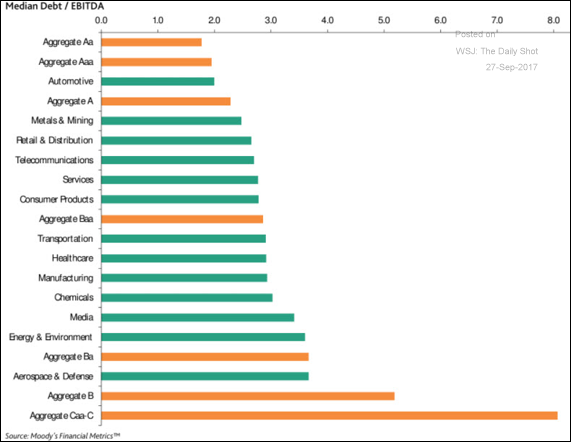 Credit: This chart shows corporate leverage levels (debt/EBITDA) by industry and rating. 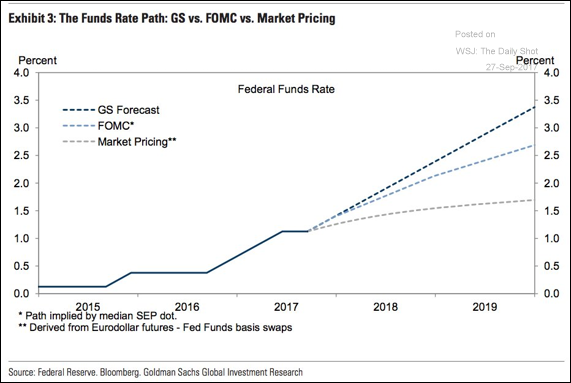 Rates: Goldman’s forecast for the overnight rate trajectory is much steeper than the market or the FOMC. 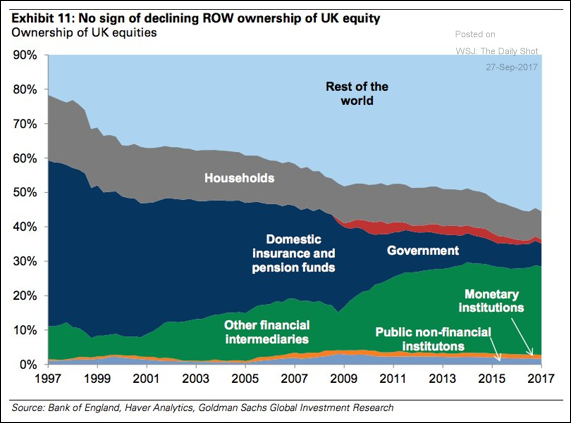 That’s driven by their outlook for unemployment and inflation. 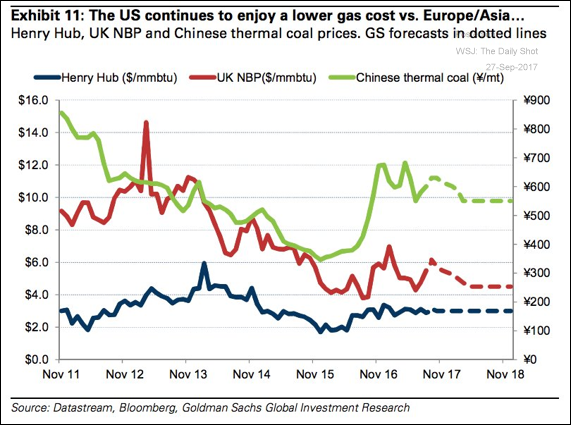 Energy Markets: Americans continue to enjoy cheap natural gas. 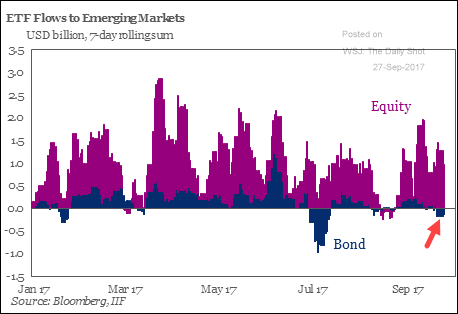 Emerging Markets: There have been outflows from EM debt funds, but stocks continue to see inflows. 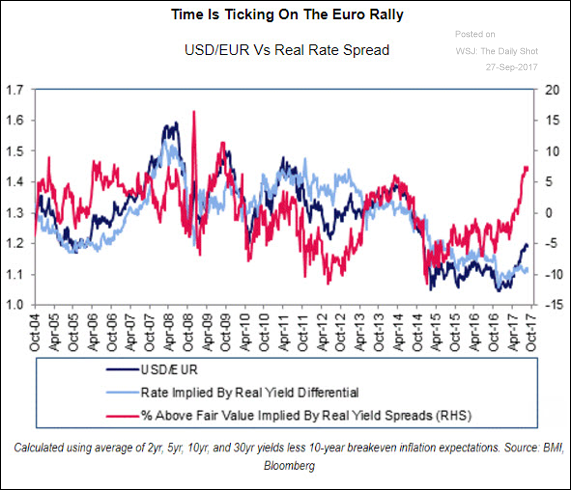 The Eurozone: Some traders are now focused on the growing rate differential between the Eurozone and the US. 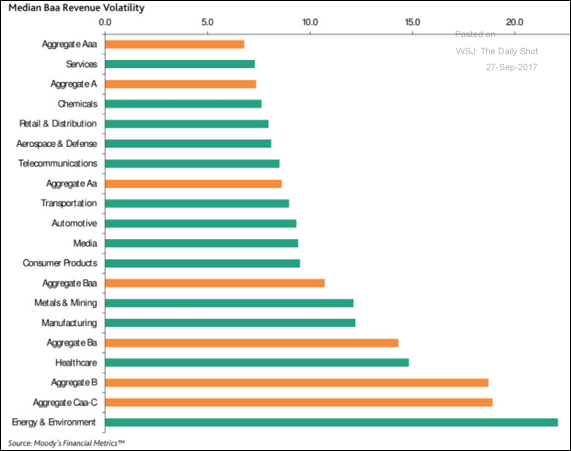 Equity Markets: Which industries experience the highest revenue volatility? 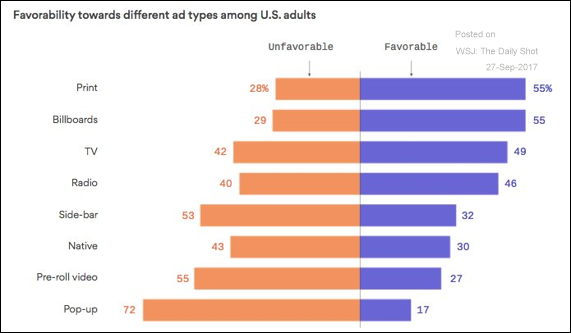 Food for Thought: People hate pop-up ads.